The word ‘allochtoon’, or ‘allochtonen’, is mostly used in the Netherlands when referring to immigrants. Originally this word, stemming from ancient Greek, simply means ‘coming from another land’. An ‘autochtoon’, also from Greek origin, means ‘coming from the same land’. confusing as it states that an "allochtoon" is somebody born in a different country, or having a parent born in a different country. When this definition is literally applied, most members of our Royal Family are also ‘allochtonen’! – "Een allochtoon is iemand die in het buitenland is geboren of van wie één ouder of beide ouders in het buitenland zijn geboren (officiële definitie)." – "Volgens bovenstaande definitie, is Sander een allochtoon." – "Als je ouder een allochtoon is, ben jij een tweede-generatie allochtoon (officiële definitie)". – "Buitenlander": foreigner living in the Netherlands, literally "outside-country man". This word is generally only applied to the traditional immigrants. 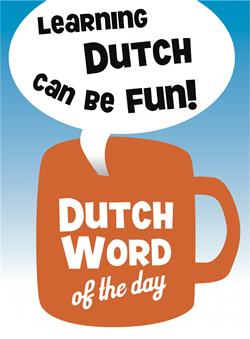 – "Autochtoon": somebody who is originally from – in this case – the Netherlands. – "Excuusallochtoon": ‘excuse’ allochtoon, see below. sense. It seems like time’s ripe for another word. The Dutch government stimulates Dutch companies to apply ‘positive discrimination’ when hiring new employees in that they prefer an "allochtoon" over an "autochtoon" if they are equally suitable for the position. The goal is to have a better refection of society in the personnel. If such an "allochtoon" is hired this person is sometimes mockingly called an "excuusallochtoon" by criticasters of this policy. Or, in general when "allochtonen" are favoured just to be politically correct, or are put forward as a successful example of integration into society, you might here the same criticasters speak of a "knuffelallochtoon". The Dutch/Moroccan rapper ‘Ali B’ once got Queen Beatrix to kiss him on the cheek by saying he was a ‘knuffelallochtoon’! What was the name of the sociologist that coined the word allochtoon? Does nationality not come into the picture here? Or the period spent in the Netherlands? A non-white of Asian/African/Latin American origin person who retains his/her passport while living here is a buitenlander. While that same person with a Dutch passport becomes an allochtoon. At least that’s the way I feel it when I read the context of the word in the papers or watch TV. Truth is the word seems to be reserved primarily for Muslims. Thanks for a nice explanation of an interesting word!